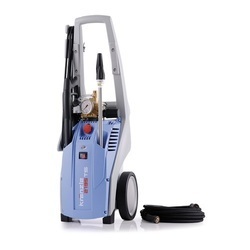 We are providing our client high quality high Pressure washers to our clients. 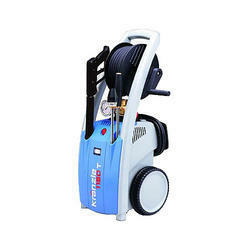 We are offering High Pressure Washers Portable Units to our clients. 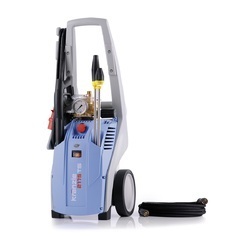 With great precision and care, we manufacture high quality Kranzle 2175 TS Heavy Duty High Pressure Washer. These are designed and made using latest techniques prevalent in the market. Moreover, we design these in compliance with international quality standards and provide these to the housekeeping industry. Our enterprise is reflected in Floor Cleaning that is meant to cater to all kinds of customers’ needs and requirements. The unique features inculcated into these products are highly appreciated by the clients. 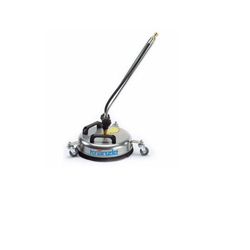 These products are known for their minimum manual efforts and providing efficient cleaning. 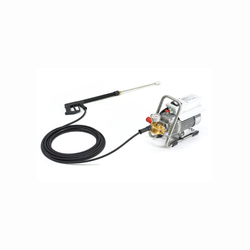 We are offering HD 7/122 High Pressure Cleaners without Dirt Killer to our clients. undercarriage and integrated hose drum and to thank you for the purchase. the nozzle. The spray pressure increases and quickly reaches the selected operating pressure. When the trigger is released, the trigger gun closes and any further spraying of liquid from the lance is stopped. The increase in pressure when the trigger gun is closed causes the unloader valve-safety valve to open. The pump remains switched on and continues to pump liquid through the pump at reduced pressure. When the trigger gun is opened, the unloader valve - safety valve closes and the pump ressumes pressure spraying from the lance. The motor is protected from overload by a motor protection switch, which automatically cuts out the motor in the event of overload. However should the switch trip frequently, the cause of the malfunction should be located and rectified. 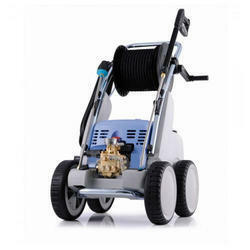 Built in Bigger Hose Reel 15 m Rubber Coated Steel Braided High Pressure Hose. 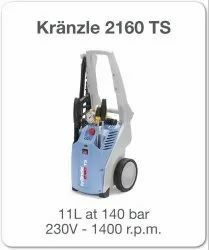 We are offering Kranzle 160 TST Profi High-Pressure Washers to our clients. 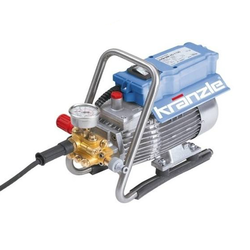 We are offering Kranzle 170 F High-Pressure Washers Engine Driven to our clients. 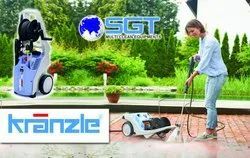 We are offering Kranzle High Pressure Jet Cleaner to our clients. 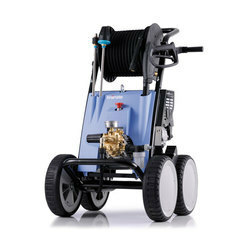 Looking for Kranzle Pressure Washers ?